Here’s a rocking new country song. 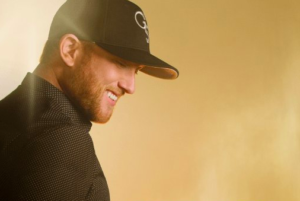 Cole Swindell just took another song to the top spot on the singles chart. It was a big moment for Cole because he was coming off a really strong debut album. That first single from the followup album is always important. But Cole nailed it and now he’s ready to release the full album along with a new single. I’m not sure if this one will be the official next single, but Cole put it out as a little preview of what’s to come. And he brought along another country star, Dierks Bentley, to help him out. This one definitely has some influence from Dierks. It kind of has that uptempo dance beat that Dierks has had in a handful of his songs. It kind of reminds me of Sideways a little bit and that’s a good thing. This kind of song can be really fun to sing and dance along with. It’s the kind of song you hear come on the radio when you’re in the car and by the end you’re rocking and knocking on the steering wheel like crazy. This one could make a good followup single to You Should Be Here. Sometimes you can throw the rules out the door when it comes to putting out music. A great single, no matter what kind of song, seems to always do well on the chart, but the last one was more on the serious side while this one would be more of a fun song. So we’ll see. I don’t know if it’s the next single, but it’s a good song and worth checking out. The more I listen the more I like it.